Here’s a protip for those transitioning into the high-definition world; never buy HDMI cables at retail stores. 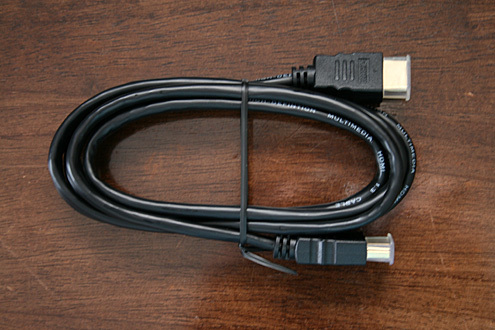 The cheapest you’ll find one is $50-60 for a four foot cord whereas an online store will get you a 6′ cord for as little as $10 (svideo.com and Buy.com for example). Buy.com has a three for $17 deal right now. And don’t be fooled with the quality argument on this one. Assuming the cord has standard durability (i.e. a plastic casing), you’ll see zero difference in picture quality as it’s all ones and zeros. Monster Cables worked in the analog world. They have little place in the digital one.